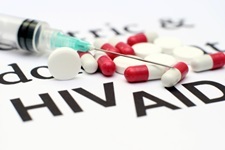 Two new studies have confirmed that early treatment for the AIDS virus can keep people healthy and prevent them from infecting others. One study involved 4,600 people in 35 countries who either received treatment soon after being diagnosed or who were told to wait until signs of immune system damage surfaced. According to the National Institute of Allergy and Infectious Diseases (NIAID), which helped fund the study, the overall risk of developing serious AIDS events, a serious non-AIDS event, or death was reduced by 57% among those who received early treatment compared to those who were told to wait. Furthermore, there was a reduction in serious-AIDS events by 72% and non-serious-AIDS events by 39%. A second major study, led by Dr. Myron Cohen of the University of North Carolina at Chapel Hill, revealed that drug cocktails can protect others. The decade-long study involved more than 1,600 heterosexual couples. According to Dr. Cohen, researchers didn’t see HIV transmission when the HIV-infected partner’s virus became suppressed by antiretroviral therapy. In the U.S., more than 1.2 million people are living with HIV and almost 50,000 people are infected each year. To date, the HIV virus has killed approximately 40 million people and has infected a further 37 million. Fox, M., “Studies confirm that early drugs halt AIDS, prevent spread,” NBC News web site, July 20, 2015; http://www.nbcnews.com/health/health-news/studies-confirm-drugs-prevent-aids-prevent-spread-n395386.